How Much More Do Books Cost Today? The New York Times Best Sellers list has come a long way — so far, that it’s no longer just a list or two (Fiction and Nonfiction). Check in now and you will find that there are 21 separate lists, everything from Combined Print and E-Book to Manga. Manga! This is no longer the NYT Best Sellers list we grew up with, checking the paper each Sunday for (after we read the funnies in some other paper). It’s all grown up, and reading manga. In recognition of the steadfastness of the New York Times Best Seller lists, let’s see what books were topping it, going backwards in time, and use the opportunity to compare what these bestsellers cost relative to each other (as we are wont to do). It’s going to be a straightforward exercise: go back in increments of ten years and see which hardcover book is on the top of each of the Fiction and Nonfiction lists. We’ll use the first week of December for each — close enough to today’s actual date to get a sense of continuity but hopefully far enough away from Christmas so as to avoid any Yuletide influence at the top of the lists. And as usual, all retail prices will be converted into 2011 dollars thanks be to this ingenious little tool from the Bureau of Labor Statistics. Let’s start with 2011, since that is now, and hopefully, the two bestsellers will not come as a shock to anyone. 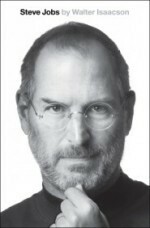 No surprise at the top of the Nonfiction list, as it’s Steve Jobs by Walter Isaacson, which is selling for $35. You have heard of this book, and I will not insult your intelligence by explaining it to you (or spoiling the ending!). And on the Fiction list, the bestseller is Kill Alex Cross by James Patterson, at the retail price of $28.99. Patterson is the author of over forty novels, including the popular Women’s Murder Club series as well as the Alex Cross series (which have been adapted into movies such as Along Came A Spider). We are not surprised that this book is at the top, as Patterson has sold so many books that each time he churns out another, all the other books politely get out of the way. Ten years ago it was a different story, both on the top of the NYT lists and out there in the real world. If you remember, we were only two months removed from 9/11 and that overrode everything else. Was there residual angst at the Bush v. Gore decision, or the collapse of the first Internet bubble? Maybe on September 10. And on the Fiction list we have a perfect example of the vacant-gazed paranoia that plagued an awful lot of people: Desecration, by Tim LaHaye and Jerry B. Jenkins, at $24.99 (or $31.92 adjusted). This is the ninth volume in the Left Behind series, which are a bunch of Christian thrillers concerning the coming of the Rapture and what happens next, the movie adaptations of which star Kirk Cameron. I’ve only read the first of this series, and I can confirm that while it may be off-puttingly sanctimonious, at least it’s poorly written. 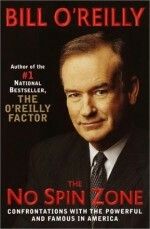 Speaking of sanctimony, the Nonfiction list offers The No Spin Zone, by Bill O’Reilly, for $24.95 ($31.87 in 2011 dollars). No, not Bill’s first book, but that did not stop him from some more dedicated not-spinning that his literary fans just couldn’t get enough of. As distressing as it is to realize that Bill O’Reilly has been know-nothing-ing his way through American popular culture for more than a decade now, let’s move on to December 1991: grunge had not yet sold out and the run-up to the 1992 presidential election was just starting, as back then presidential primaries did not have a duration of three years. Technically, we were in a recession, but there was no gloom at the top of the Fiction list: Scarlett by Alexandra Ripley, going for $24.95 (or $41.44 now). This is the sequel to Gone With The Wind written not by Margaret Mitchell (or even her ghost), but rather by a licensee of the Mitchell Estate. 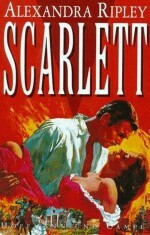 In this page-turner, Rhett and Scarlett free all the slaves, open a small country inn and dedicate their lives to fighting crime. On the Nonfiction side, Under Fire, Oliver L. North’s auto-hagiography in which his heroic smuggling of arms to Iran is trumped only by his heroic lying to Congress. It was co-written with (or by, more like) William Novak. It sold for $25, which converts to $41.53 for our purposes. This was the first year of the Reagan Administration, also known as the most important administration in the history of sentient life. Men and women walked with a spring in their step, as they knew they slept under the protection of the near God-like omnipotence of Ronald Reagan. (Well, in the U.S. In the Soviet Union, they were engrossed in planning the destruction of the planet.) Yet even with a full schedule of spring-stepping and freedom-loving, people still found time to read books. The best-selling Fiction book they read was An Indecent Obsession by Colleen McCullough, priced at $13.50 (or $33.60 in 2011 cash). It sounds a bit Jackie Collins, but it’s described on the list as, “A nurse and her charges in a special-care ward of a WWII hospital.” McCullough is also the author of The Thornbirds, which was being read on beaches everywhere only four years previous, so I’m betting someone gets down in that book somewhere. Or at least horizontal. Like, in a hospital bed. Which you can move up and down. 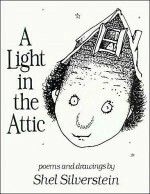 And at the head of the Nonfiction List is A Light In The Attic by Shel Silverstein, at $10.95 (or $27.25 now), which is, in my experience, easily one of the top ten Most Universally Owned Books ever, so we will not make light of it, even though it’s just a buncha poems. By the time we get to 1971 we’re reaching an arbitrary line, on one side of which are the Olds born before then, and on the other are everyone else, pointing and laughing at the other side. (Subjective, yes, but I was born around that time, so feel my pain.) Nevertheless, it still happened: Nixon cruising to reelection, the tumult of the late ’60s still bubbling as the Vietnam War continued — imagine an Oliver Stone film mashed with “All In The Family,” which debuted that year. About all I can remember from that time is that peculiar shade of burnt orange that seemed to be so popular. 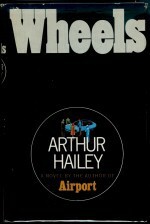 But the Fiction bestseller of that year was Wheels by Arthur Hailey, on sale for $12.95 (or $72.34 adjusted); this potboiler on the automotive industry continues Hailey’s knack for writing bestsellers focusing on a specific industry (Hotel, 1965; Airport, 1968), the author having the advantage of living in a time when America had industries. Eleanor and Franklin by Joseph P. Lash was the Nonfiction bestseller, which went for $15, which converts to a shockingly high $83.79. While it may seem admirable that America had an eye on history in 1971, remember that the peccadilloes of First Families were then skeletons in closets and not badges of electability (at least in the case of the thrice-married). Even on a less prurient level, there was a time when people thought that FDR could walk. Silly Americans. Odd how, on these older lists, you catch glimpses of books that ended up of a more lasting fame than the books at the top. History hasn’t treated Arthur Hailey so well, but there’s The Exorcist at number three, and over in Nonfiction, Honor Thy Father at number two. Looking through the old lists (which you can do here) is not unlike sifting through a garage sale, or remembering your grandparents’ bookshelves. Half a century ago was 1961. John F. Kennedy was newly in the White House, the Cold War was in full effect and the Freedom Rides were taking place down south. But hey, everyone, “Mad Men,” right? And speaking of cultural artifacts destined to become curriculum, here we find J.D. Salinger’s Franny and Zooey as the Fiction bestseller, which was yours for only $4, or $30.26 in 2011 dollars. 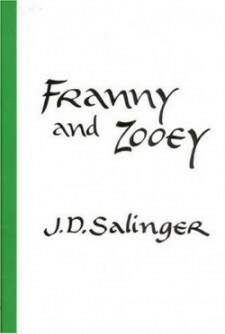 That would be the Salinger that has fewer “goddamn phonies” per page. And the phenomenon of John F. Kennedy as failsafe publishing topic was taking root, as Making of the President, 1960 by Theodore H. White was the Nonfiction bestseller, the first in a series of five books to examine American elections, (no doubt catching the eye of a young Richard Ben Cramer). This was the one book of which I could not pin down the precise historical retail price. The older prices I dug up with the help of book collectors’ websites, which sometimes list the initial price along with info concerning spine condition, dog-ears and foxing. But even though Making won the Pulitzer in 1962, it does not make a splash with current collectors. So instead we will substitute the price of Robert F. Kennedy’s 1960 book, The Enemy Within, which was $3.95 (or $30.19) at the time, and which I hope to God is as ominously sci-fi as its title. television, it seemed like this must’ve been a fun. Returning WWII vets were finishing college thanks to the G.I. Bill, and the suburbs were being invented, so that we might one day grow up in them. 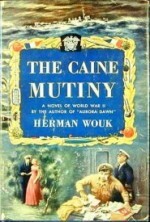 Herman Wouk’s The Caine Mutiny was the Fiction bestseller for $3.95 ($34.37 adjusted), which is a true classic of fiction concerning the Big One. And on for Nonfiction, we have Rachel Carson’s The Sea Around Us ($3.50, or $30.45 now) which is another irreproachable work that is considered one of the seminal texts for the modern environmental movement. Clearly, the readers of 1951 were a serious sort that somehow sensed that I’d be looking for fun to be poked sixty years later and decided that they would thwart me. I concede. Where does this brief walk through American history leave us? Remember, prices below are all adjusted to 2011 dollar values. Well, at first glance there’s that big bump in 1971, which could be a publishing trend, or it could be that the two books on the top of the lists in December happened to be particularly expensive. But if you ignore 1971, then you can make a pretty strong argument that the adjusted price of a hardcover book has held constant, neither inflating or deflated, and that this price equals roughly thirty 2011 dollars. This is about a consistent price as we’ve seen so far. And it’s good that we’re doing this now, as the uncertainty looming over the publishing industry is unimaginably big. Both the competitive pricing and release patterns of e-books and the ascendance of Amazon and similar e-tailers (okay, just Amazon, really) threaten to change the business of book publishing into something that will be completely unrecognizable on an historical basis. All this at a time when even members of the Fourth Estate are railing against the horrors of bookstores, even the independent ones. (Needless to say, I disagree with him in a manner that involves the use of profanities: support your local bookstore.) I hope this is not the case, but maybe only James Patterson can save us. An earlier version of this article mistakenly confused Prof. William Novak with pundit Bob Novak. Brent Cox is all over the Internet.